Kefalos (Greek: Κέφαλος) is a small town of about 2500 inhabitants, situated at the extreme west of the island of Kos in the Dodecanese . This is a place a little dull which is mainly a transit point for exploring the peninsula Kefalos , a rugged peninsula that ends dramatically Krikello Cap (Ακρωτήριο Κρίκελλο). 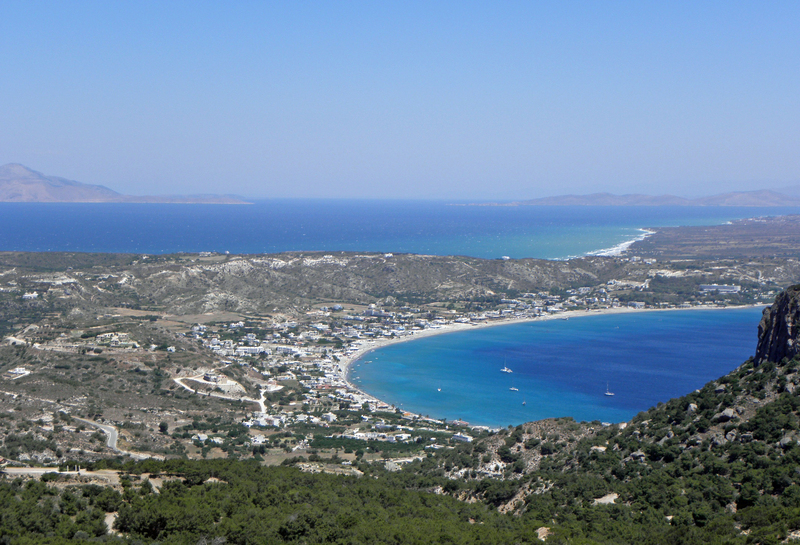 Kefalos is located on a peninsula separated from the rest of the island of Kos by a wide isthmus of 1600 meters. Kefalos is located 43 km west of the capital of the island of Kos . From Kos town the main road of the island joined Antimahia. Beyond the airport of Antimahia the lunar landscape becomes, then the road reaches the peninsula Kefalos , after crossing the gulf of the same name. The road then winds up Kefalos, perched high on a promontory. Kefalos is also the terminus of bus from Kos, the city is located 15 km from the airport. 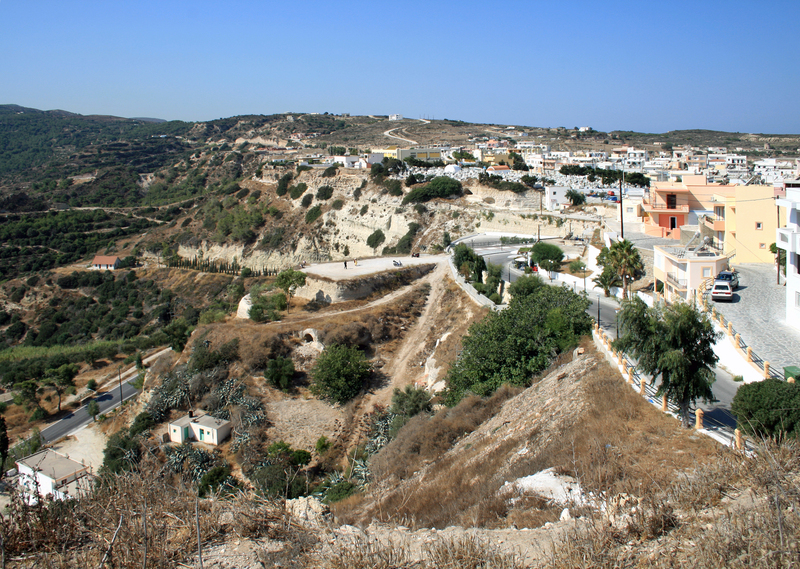 The town lies at the edge of a cliff collapse and overlooks the harbor, the village of Kamari . Kefalos since we can admire in perspective, a large part of the south coast of the island of Kos. 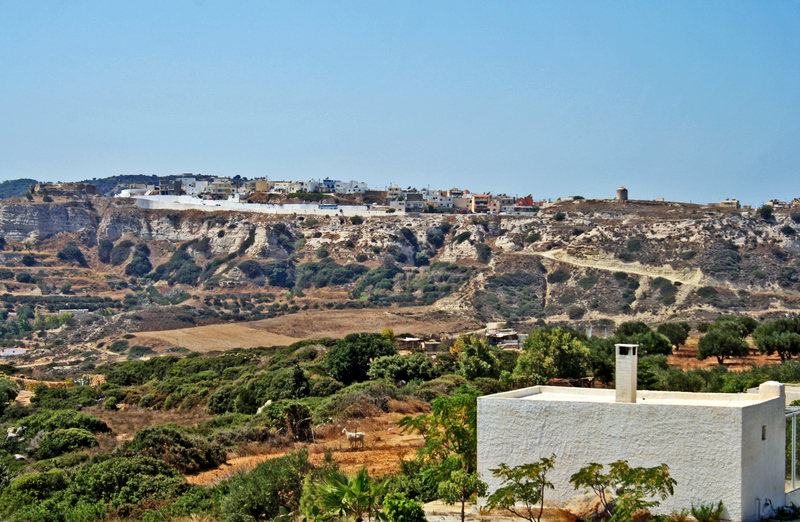 Kefalos an old farming village built along a limestone cliff dominated by the imposing windmill Papavasilis. Near the windmill is the "traditional house", a small museum of popular arts and traditions. The large town is crowned by the ruins of its castle. The meager ruins of Kefalos are just west of the small town. The castle was built by the Knights Hospitaller of St. John , at the turn of the fourteenth and fifteenth centuries on the foundations of an earlier fortification dating from the thirteenth century. During the Turkish invasion of Kos in 1457, the castle Kefalos with castles Paleo Pyli and Antimahia , served as a refuge for the 12,000 inhabitants of Kos. The foot of the castle walls, there is a splendid view of the Gulf of Kefalos , the volcanic island of Nisyros and the Datca peninsula in Anatolia. 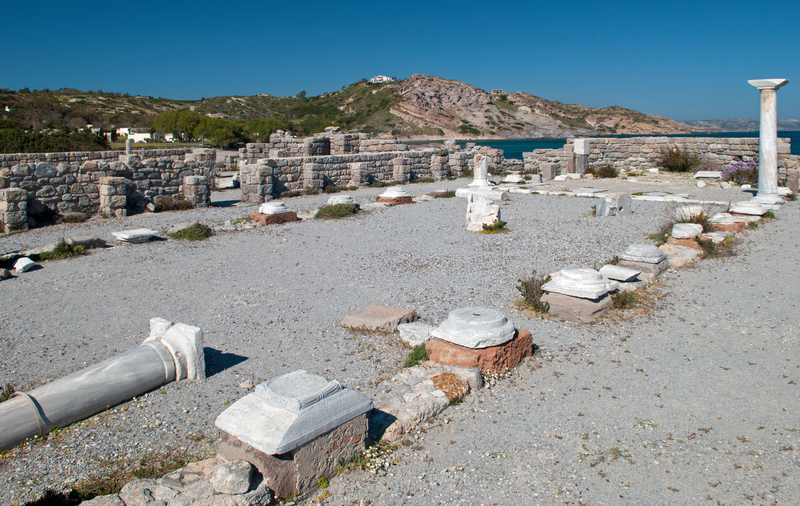 The ruins of the early Christian basilica St. Stephen (Agios Stefanos,Άγιος Στέφανος) are located on a rocky promontory on the southwest coast, east of the village of Kamari , just next to the buildings of the former Club Med . The St. Stephen’s Basilica was actually consists of two twin basilicas: a large church in southern promontory and a smaller one in the north, the two basilicas, dating from the fifth century to the sixth century AD (from 496-554) - with later additions - shared a baptistery. At that time, the old sanctuary was connected to the island Kastri by a bridge, which was later destroyed by an earthquake. The Basilica of the south was a three-aisled basilica with two rows of columns, a semicircular vault east and west rectangular narthex. The nave was separated by a marble balustrade, which only is preserved the cornerstone. The narthex has two entrances, one to the west and at a lower level. The soils of the church are covered with beautiful mosaics depicting birds, while the preserved parts of the walls show a sculptural decoration. The mosaics are covered with gravel to protect them from the elements. The Basilica of the north was also three naves, but smaller. The most characteristic feature is that the three naves were formed from columns and pillars alternately. Here, too, we find the semi-circular arc to the east, where part of the throne, made of marble, is still preserved. Outside the south-east, was a rectangular building, of which only the ground plane has been reconstructed with the remnants of rectangular font, the building seems to have served as a baptistery for both churches. The large atrium was built later in the west of the church, perhaps in the sixth or seventh century AD, a grand staircase allowed access. The site was excavated in 1932 by the Italian archaeologist Luciano Lorenzi, and searched from 1935 to 1943. Some beautiful Ionic columns were recovered near the shore, some of which are again collapsed since the 1980s. Agios Stefanos is one of the most important monuments of Kos .